Diamond Details: 28 Princess cut white diamonds of F color, VS2 clarity, with excellent cut and brilliance, weighing 1.85 carats total. Ring Style: Eternity and antique style "milgrain detail. 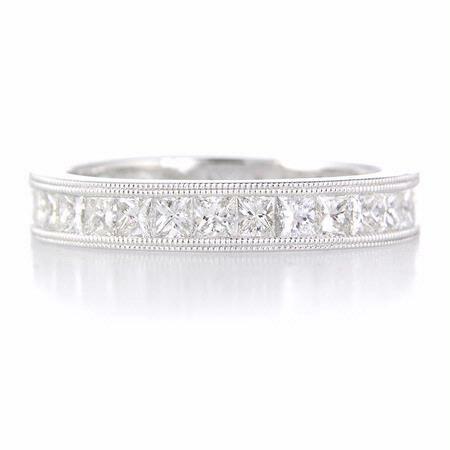 This stunning antique style platinum eternity wedding band ring, features 28 princess cut white diamonds of F color, VS2 clarity, weighing 1.85 carats total. Beautiful milgrain detail, creating an antique style effect. 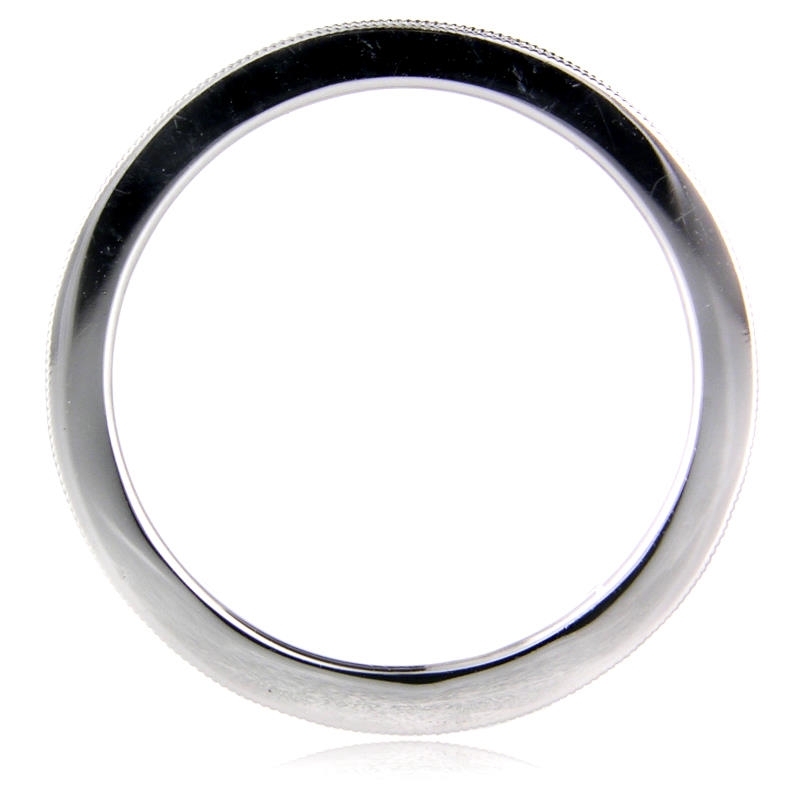 The ring is a size 5.75 and measures 3mm wide.